We will work with you to identify your strengths and weaknesses and assess where your marketing dollars can best be spent. We can work in conjunction with your in-house marketing/PR team, or on a one-on-one level. 1. Newsletter/Magazine publishing – We’ll do everything from writing and/or lining up contributors for appropriate articles to design and layout and creating ads when appropriate. Your publication will be available as an interactive digital piece or a print copy. 2. Books and Booklets – Becoming an author is a great way to establish yourself as an expert in your industry. Using your knowledge, combined with our knowledge and research, we’ll help you produce professional books or booklets that will provide an enormous amount of marketing synergy. 5. Social Media – We’ll write new content, or use that posted on your website to expand your social networking status. 6. Webinar Content – We’ll provide you with a turnkey package that includes PowerPoint, script, invitations, and follow-up letter/email on a topic of your choice. 7. Press Releases – Don’t miss out on an opportunity to get FREE press. It’s a great way to get exposure in your industry, to update clients on what’s going on in your firm, or to educate clients/prospects on a timely topic. Set a time to talk by clicking here. We help you develop and implement a strategic plan to ensure you reach your target market. We also will work with your organization to evaluate an existing program’s strengths and weaknesses and develop a campaign to ensure it reaches its full potential. Any professional who provides a service can only succeed in they have a well-thought-out marketing plan. We can help you get started on the right foot. We’ll help you identify who your target market is and help you develop a successful campaign. 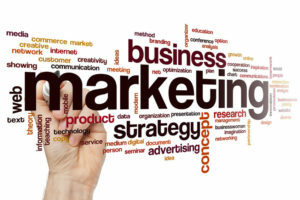 Are you in a rut when it comes to your marketing efforts? Let us show you how to design a campaign that will not only excite you, but also help you capture additional assets.